(April 3, 2018) — In the 2016 election, Hillary Clinton, Bernie Sanders, and Donald Trump all recognized that workers and communities have lost trust in the NAFTA approach to globalization. They all said we should manage globalization differently. Over the last few months, Canada, Mexico and the U.S. have had seven meetings to renegotiate NAFTA. To understand the renegotiations, we should know what was wrong with the original NAFTA, and what we want in a new one. I’m 100 percent in favor of trade. I don’t think I’ve ever met anyone opposed to trade. We take pride when we export software, airplanes, apples, and wheat. That’s never been the issue. The winners under NAFTA have done very well — global companies and investors who can move production to low-wage countries. But when workers, communities, and the environment are squeezed into decline, we are probably going in the wrong direction. First story. 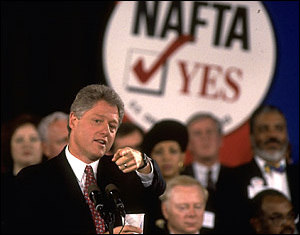 During the original NAFTA negotiations, a labor advocate told an industry lobbyist that she agreed that manufacturing companies had a legitimate interest in protecting their investments from seizure or expropriation by foreign governments. That’s consistent with our legal tradition and should be part of NAFTA. She asked the industry lobbyist if his business clients acknowledged that civil society also had a legitimate interest in protections in NAFTA for labor rights, human rights, and other public interests? “No. Not really,” he said. His role was to get the maximum possible leverage for his clients in the new global system. That meant global businesses could move work anywhere, take advantage of cheap labor, escape environmental and public health regulations, and otherwise get the best deal possible for their investors. His leverage would be even greater if NAFTA weakened bargaining power away for workers and communities. Second story. A business executive from UPS took a very different perspective at a trade conference in Seattle. She said labor rights and human rights were core values at UPS. She and UPS ran their global operations to respect workers and communities. Good for her and UPS! Third story. The Trans-Pacific Partnership (TPP) was our biggest trade agreement since NAFTA. It failed in Congress. 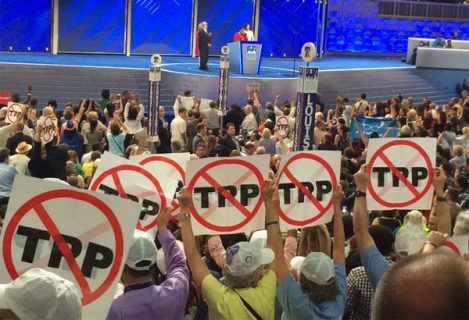 At a conference in Boston, a lobbyist for a very large manufacturing association said TPP would have been great for the global companies in her organization. For them, TPP’s defeat was tragic. After she spoke, I told her my first story – some time ago, an industry lobbyist said his goal was to maximize leverage, getting as much as possible for global investors, while keeping other stakeholders as weak as possible. The industry lobbyist in Boston got very defensive, saying that was not at all the way her industry association saw things. I said, “Great!” Then her industry group should clearly state that they want our negotiators to get strong enforceable protections for labor and environment, which reflect our values and legal traditions as a nation, in all future trade agreements. Her business allies would get low tariffs, access to foreign markets, and TPP could protect their property from expropriation. We would also support high global standards to fight child labor, forced labor, human trafficking, and slave labor – issues we thought we had settled 50 or 100 years ago. We could address climate change – arguably the defining problem of our time. TPP could sail through the Senate by a vote of 85-15. The lobbyist in Boston had been defensive before. Now, she was smokin’ mad at me. Maybe she thought I was patronizing her. But my question really sits at the heart of the problems with our failed approach to globalization. Whose interests really matter to our negotiators? According to our own State Department rankings, five of the 12 TPP countries failed to meet global standards on human trafficking. A sixth TPP country was among the worst in the world on forced labor, child labor, and slave labor. Just sayin’. Fourth story: Members of the Coalition for a Prosperous America (CPA) are manufacturers, family farm organizations, and labor – all committed to producing in the U.S. CPA is very creative on specific policy options designed to rebuild our industrial base, help family farmers, and share the gains from trade with all stakeholders. They are doing exactly what I suggested to the industry lobbyist in Boston. Everyone in CPA wants a prosperous America. To them, working together and sharing gains is eminently sensible. It is unsustainable to turn our backs on workers, communities and the environment. A generation (or two) ago, business schools and CEOs talked about “stakeholder” interests. We all do better when all stakeholders do better. That outlook recognized legitimate common interests, helped build social cohesion, and made stronger communities. We can have legitimate national interests and raise living standards everywhere, without being xenophobic or nationalistic. Canada, China, Japan, Scandinavia, Germany, Singapore, and South Korea recognize national interests. They also have more social cohesion than we do. We’ve had more social cohesion in our own history than we do now. 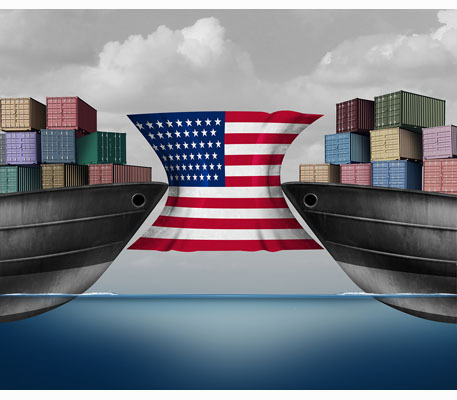 A good trade agreement should require any foreign company to meet minimum standards for labor, environment, human trafficking, food safety, and other basic norms that reflect our values as a country as a condition for getting access to our markets. Our current failed investor-centric NAFTA approach is exhausted socially, politically, and economically. The UPS and CPA stories suggest it’s not that hard to set a more inclusive and sustainable path for globalization. We should accept no less.